February 19th in Plugin Lists, Wordpress Plugins by Wordpress Jedi . Those of you who run an online business know that your customers will expect to be able to find and book your service online. 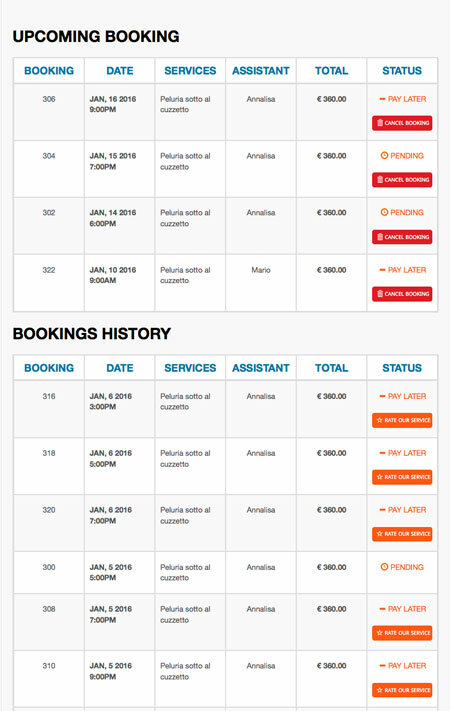 We have already covered plenty of appointment booking plugins here. Salon Booking is another simple tool that lets you manage appointments in WordPress. It provides you with multiple views, customizable notifications, and various payment options. This plugin is designed with barber shops, tutors, beauty salons, car shops, and other similar businesses in mind. It supports email and SMS notifications for new reservation, followups, and other events. Salon Booking has 3 booking methods and holiday rules. Webmasters will be able to view a list of customers and their details. The plugin also provides you with reports on reservations and revenues. You will be able to import data to get started faster. The plugin is available as a free download.